Speaking in a Liberation Day interview with Daily NK, Professor Lankov explains that he is one expert who supports engagement efforts, but not because he thinks the North Korean authorities can actually be persuaded to change. Lankov has three reasons why reopening the Kaesong Complex is a positive move: ▲ because it reduces the risk of military confrontation; ▲ because it changes the North Korean people; and ▲ because it teaches a few North Koreans a little bit about modern industrial practices. Moreover, he continues, “North Korea has to be changed. And as the Cold War in Eastern Europe revealed, the best way, or maybe the only way, the outside world can promote such change is by infusing information inside North Korea.” In the Soviet Union, information that travelled through formal channels was always viewed as more reliable, he adds, which is why official-level interactions may be more valuable than clandestine channels. Lankov also believes the reopening of the Kaesong Industrial Complex is good news because it may lead to the reopening of Mt. Geumgang and Kaesong City tours. In particular, he claims that the Kaesong City tour project is a very good one. He would like the process to lead to the opening of a second inter-Korean economic zone, too. When last seen, at the death of the Sunshine Policy in late 2007, the proposed site of the zone in question was Haeju, on the West Sea coast of South Hwanghae Province. However, he warns that nobody should be under any illusions for the future. 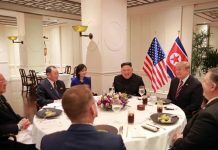 “The North Koreans want better relations with the South Koreans because they’ve got South Korean money,” he firmly declares. Daily NK will publish the full Liberation Day interview with Professor Lankov in a special Saturday article tomorrow. In it, Lankov explains why he doesn’t think the death of a South Korean tourist at Mt. 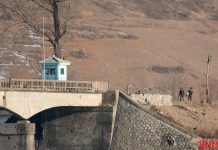 Geumgang in 2008 should stop South Koreans visiting North Korea, explains that the Democratic Party has “the right policy on North Korea, but for the wrong reasons,” and explains why Daily NK is such a valuable resource for anyone interested in what is really going on inside North Korea.